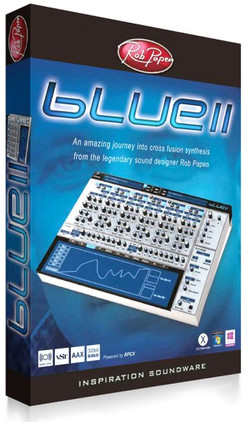 Blue-II, Virtual hybrid synth from Rob Papen. With currencies evolving, Rob Papen has announced its USD prices have been lowered. 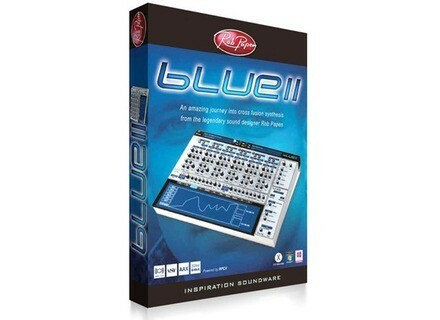 Rob Papen's Blue-II has been updated with new presets. Rob Papen has finally released the second version of his long-awaited Blue II virtual synth that had been introduced at NAMM in January. Rob Papen confirms that the second version of its Blue virtual synth will officially be introduced at Winter NAMM Show 2014. Rob Papen is about to launch the second version of its Blue virtual synth, and in the meantime, lowers the price of the first version.